The European Transport Workers’ Federation (ETF), representing over 350,000 workers across the whole aviation industry in Europe, welcomes yesterdays’ European Parliament Plenary vote on the new European Aviation Safety Agency (EASA) Basic Regulation as an important step in the right direction. Some of ETF’s long-standing claims – such as the inclusion of ground handling into the scope of the Agency or the interdependence between safety and socio-economic factors – have been reflected. Subject to the approval of the Council, the ETF regrets the extension of the flexibility provisions to eight months thus giving too many possibilities for airlines to derogate from established rules, in particular as regards flight time limitations. 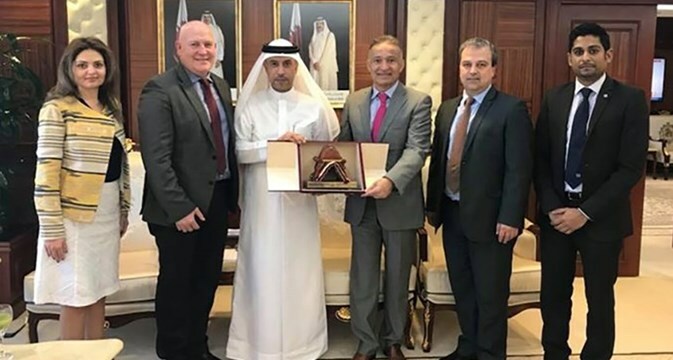 An ITF delegation, led by ITF General Secretary Stephen Cotton, visited Qatar last week to hold discussions with top officials to set a framework for the implementation of the common objectives, agreed by both sides at a previous meeting held in London on 4 October last year. The ITF delegation met with HE Mr. Jassim Saif Ahmed Al Sulaiti, Minister of Transport; HE Mr. Issa bin Saad Al-Jafali Al-Nuaimi, Minister of Administrative Development – Labour and Social Affairs (ADLSA); Mr. Fernando Casadevall, Qatar Airways’ Chief Human Resources Officer; Saleh bin Hamad Al Sharqi, Director General of the Qatar Chamber of Commerce; Mr. Houtan Homayounpour, responsible of the ILO office in Doha. The ITF delegates welcomed the Ministers’ commitment to the ILO technical cooperation programme (TCP), under which the ILO and the Government of Qatar agreed to work together to strengthen national regulations and practices. They also agreed to work together to strengthen the capacities of the government, employers, and workers to realise fundamental principles and rights at work, in line with international labour standards. Under the TCP, the government of Qatar will promote a speedy process to resolve individual grievance procedures and will regulate the creation of joint labour committees at company level, among other measures. The ITF (International Transport Workers’ Federation) have begun a new round of talks with the Qatari government’s Ministry of Labour and Ministry of Foreign Affairs on the rights of transport workers in Qatar. They are the latest stage of a process begun via initial discussions between the Ministry and the ITF in 2016. 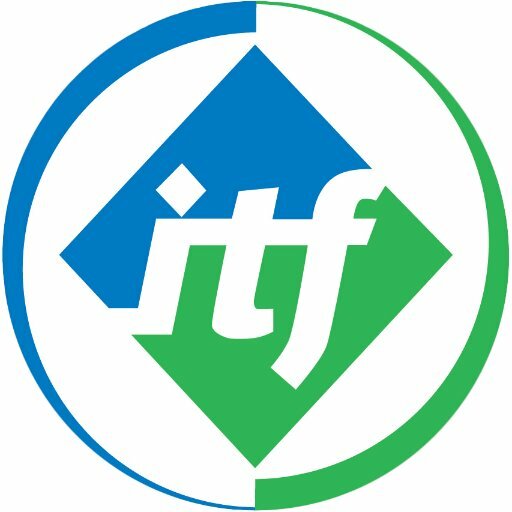 In the latest meeting, held at the ITF’s headquarters in London, both parties discussed effective ways and means that workers’ complaints can be safely aired and addressed. Both parties stated that their cooperation is based on a shared belief that the respect of international labour standards can help foster a positive working environment for transport workers. Trade Unions are fully determined to eliminate violence against women through collective agreements, and their proper implementation with employers, at national, sectoral and company levels. In a ground-breaking, and unpublished, study ‘Safe at Home-Safe at work’, which will be presented in Madrid on November 24-25 to mark the International Day against Violence against Women (November 25), the European Trade Union Confederation (ETUC) will reveal how trade unions in Europe have addressed violence against women at work and how support at the workplace can help eliminate violence against women at home. The ETUC is hosting the Madrid conference to share experience of negotiations and agreements at company and sectoral level to combat violence against women and sexual harassment at work. A survey carried out by the British TUC found that more than half of all women, and nearly two-thirds of women aged 18 to 24, experienced sexual harassment at work. A French survey, carried out in 2014, found that 1 in 5 women had been a victim of sexual harassment. Pioneering agreements have been signed in several countries including Bulgaria, Denmark, France, Germany, Italy, Slovenia and the Netherlands – see https://www.etuc.org/fr/publications/briefing-notes-etuc-project-safe-home-safe-work#.WDRA5vkrJPZ to more details in a briefing on the ETUC project ‘Safe at home, safe at work’. Such agreements will guide future European trade union actions to eliminate violence against women at work. The 2007 European Framework Agreement on Violence and Harassment at Work between the European trade union and employers’ organisations led to Europe-wide agreements in the commerce, private security, local government, health and education sectors. 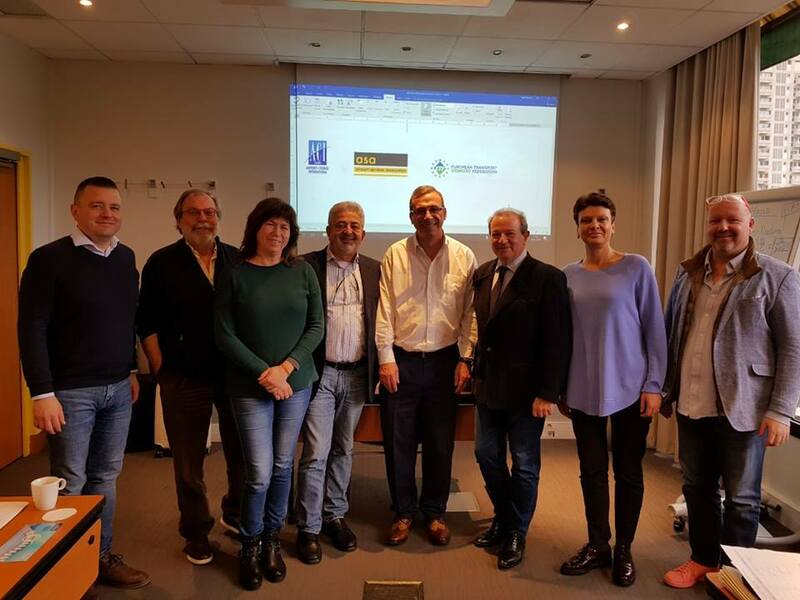 “Sexual harassment at work is a serious problem which can have far-reaching repercussions for the victims and impacts on the whole workplace,” said Montserrat Mir, Confederal Secretary of the ETUC. “Together with the employers, we have the means to address it effectively through collective agreements, as our study shows. 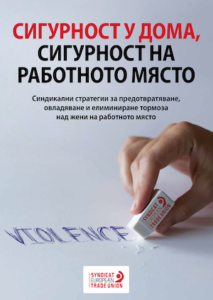 Violence against women in the workplace and the acts of domestic violence with all their impact on working life are the two main focus areas of the research within the project of the European Trade Union Confederation (ETUC) “Safe at Home, Safe at work”. The President of FTTUB Ekaterina Yordanova, vice president of the ETUC Women’s Committee is a member of the steering group once again. The project covers 11 EU countries and Bulgaria is one of them. 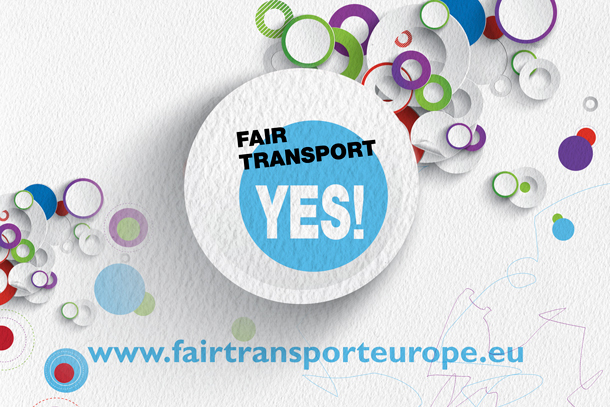 Ahead of the European Commission ‘Week for Women Working in Transport’ and in the light of the International Women’s Day on 8 March, the European Transport Workers’ Federation (ETF) asks the legislator to address the real causes preventing women to take more jobs in this industry. 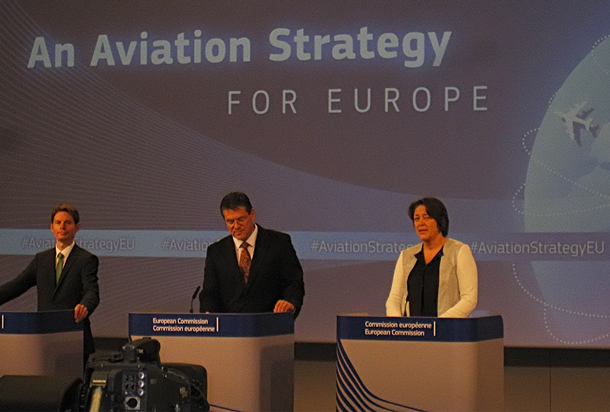 The European Commission unveiled today its long-awaited Aviation Strategy for Europe. 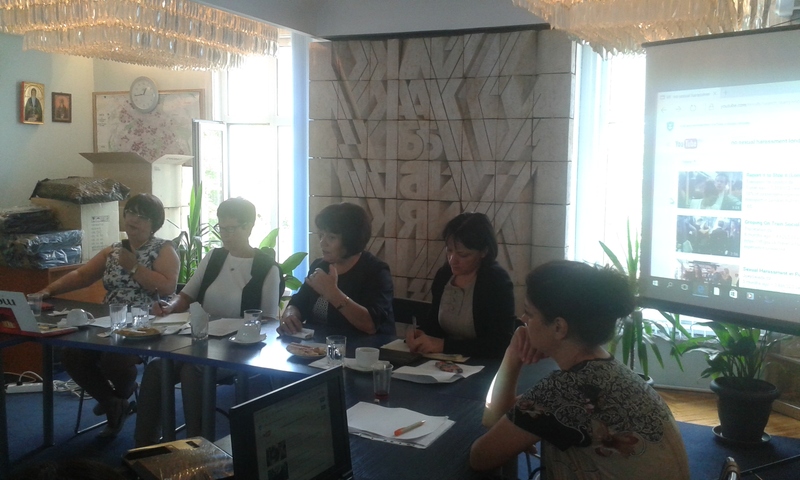 Commissioner Bulc presented the document to the press and members of the European Parliament TRAN Committee. The ETF team was present at both events.